This is a must have accessory for your camera. We at Rother Valley Optics use these cameras a lot and it's vital that you protect the lens when not in use.Comes with lens cover for the camera and standard housing,plus a replacement battery door and side door. 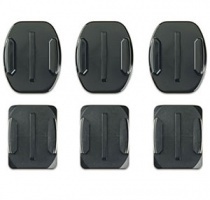 The GoPro Curved and Flat Adhesive Mount set contains three curved and three flat adhesive mounts. 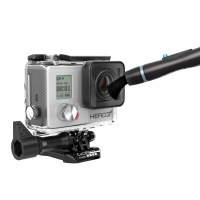 This GoPro Hero3 HDMI Cable allows you to connect your HD HERO3 camera to your HDTV for incredibly smooth, big-screen playback of your videos and photos. The Ride HERO is a seat post and handlebar clamp for mounting your quick-release GoPro camera on to tubes/frames ranging from 0.75" to 1.4" (1.9cm - 3.5cm) in diameter.